Only 3 spaces left!!! Sign up today! 6-week Beginning Squarespace evening class series at Peninsula College begins April 10th! Please sign up if you're interested and if you know of anyone who might be, please forward this information. Thank you so much. Build and maintain your own beautiful, modern and “responsive” website using the online, subscription based website builder, Squarespace.com. An affordable website solution for micro and small businesses, artists, photographers, online stores, bloggers, restaurants, musicians, and for events such as weddings. READ MORE about this class -OR- CONTACT ADRIENNE for more information. Only 4 spaces left!!! Sign up today! Only 6 spaces left!!! Sign up today! New 6-week Beginning Squarespace evening class series at Peninsula College begins April 10th! Squarespace Classes at Peninsula College is a GO! Great news! To date, 7 students have signed up to learn Squarespace this month and Peninsula College has agreed to go forward with the class! Typically their minimum is 12 students, but they are making an exception so the class can go forward—thank you Peninsula College, I'm so thrilled, excited, and grateful for the opportunity. I would love to have more students though, so please sign up if you're interested and if you know of anyone who might be, please forward this information. Thank you so much. 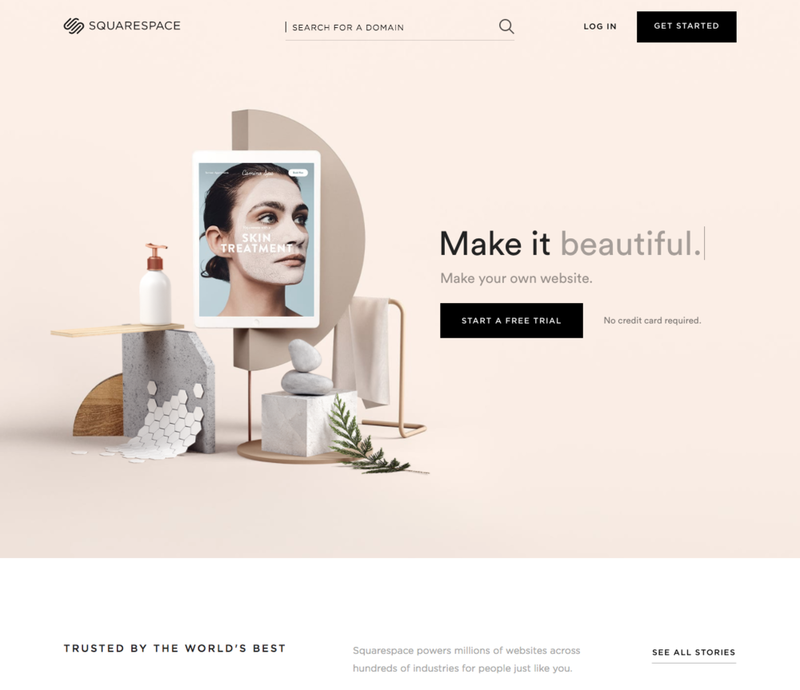 Build and maintain your own beautiful, modern and “responsive” website using the online, subscription-based website builder, Squarespace.com. An easy, affordable website solution for micro and small businesses, artists, photographers, online stores, bloggers, restaurants, musicians, and for events such as weddings. I'm super excited to teach Squarespace at Peninsula College in January! I have visited the campus at Fort Worden, toured their classrooms, tested their technology, and it's all fantastic! The building is totally renovated and beautiful inside. 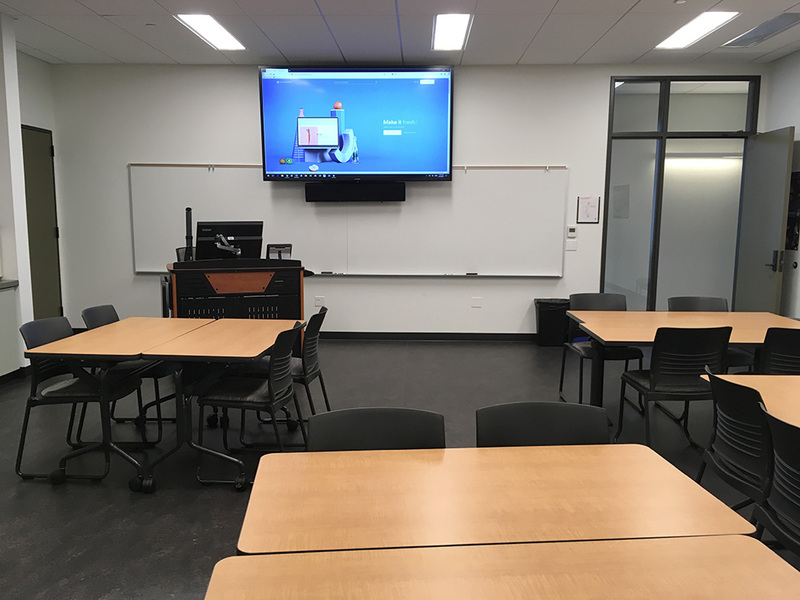 The classrooms are appointed with huge screens for students to follow instructor demonstrations. You may bring your own computer or use their FREE PC laptops which are available for all students to use during class time! How cool is that? Student tables and chairs are movable so we can set up the classroom anyway we like. Also there is a small lounge/kitchen area with vending machines and a microwave. With plenty of free parking, what else can you ask for? Clean restrooms and elevators you say? They've got 'em! I hope this inspires you to sign up for this class. Even if you don't have a laptop, you're covered! Isabel Bay Design is excited to announce a new Squarespace 7 website, JohnHenebryPhotography.com, launched in October for landscape photographer, John Henebry. John is on a new path with his own, solo photography business. It has been my pleasure and privilege to work with this world-class artist and his wife, Linda, to create a beautiful showcase for his amazing photography portfolio. Additional services: logo and business card design. With the latest version (7) of Squarespace, this new "responsive" website, can be seen properly on all screens, large (computers), medium (tablets) and small (smart phones.) And with Squarespace's online editing tools and with one-on-one training with me or by taking my Squarespace class, many of my clients will be able to maintain part or all of their own site in the future. I love building Squarespace websites and teaching Squarespace to my clients. Are you ready to launch a new website? If so, let me know, first half hour consultation is free. Isabel Bay Design is thrilled to announce a new Squarespace 7 website, StillwellYoga.com, launched in September for Port Townsend yoga instructor and massage therapist, Karyn Stillwell. Karyn's passion for Vinyasa yoga, Thai massage and Port Townsend really shows in this new, modern, clean website. Her vision will soon extend to offering online yoga videos—very exciting! Stay tuned. Logo by Bootstrap Commercial Arts. Isabel Bay Design is happy to announce a new Squarespace 7 website, SheIsAnyway.com, launched in August for Port Townsend artist, Nancy Merrill. Nancy is an accomplished artist who created a big impact in both environmental awareness and the assemblage, art-from-trash movement in the 1980s in California. This new website, (built using Squarespace,) showcases a lifetime of beautiful, trans-formative, ecological, intriguing art and visual expression. Enjoy! With the latest version (7) of Squarespace, this new "responsive" website, can be seen properly on all screens, large (computers), medium (tablets) and small (smart phones.) And with Squarespace's online editing tools and with one-on-one training with me or by taking my Squarespace workshop, many of my clients will be able to maintain part or all of their own site in the future. I love building Squarespace websites and teaching Squarespace to my clients. Are you ready to launch a new website? If so, let me know, first half hour meeting is free. This photo is of me and my mother, circa 1971, taken at Isabel Bay, Desolation Sound, B.C. Canada. We're standing on the smaller of two small islands that create this safe haven for wildlife and yachtsmen to enjoy, with Theadosia Arm and Lancelot Inlet behind us, and next to the beautiful, lone tree that is my logo. A place, a tree and the most special person who inspired and made possible, my life of art and creativity. Thanks to some dear friends of mine, here is the tree in 2017. Still hanging in there, barely! Isabel Bay Design is thrilled to announce a new Squarespace 7 website, ConcertsInTheBarn.org, launched at the beginning of June for Alan Iglitzin & Leigh Hearon of Quilcene, WA. Mark your calendars for these amazing FREE chamber music concerts. These world class musicians are rarely in our neck of the woods and playing in this unique and spectacular venue, it will be a highlight of your summer. Come early for a picnic and to walk the gardens and grounds. So worth the drive! LEARN SQUARESPACE, ETSY, BASIC COMPUTER SKILLS, PHOTOSHOP & INDESIGN! Register & pay $120 by April 1 to participate. Or pay $108 before March 25 for Early Bird Discount! Register & pay $120 by April 29 to participate. Or pay $108 before April 22 for Early Bird Discount! LEARN SQUARESPACE, ETSY, BASIC COMPUTER SKILLS, OR GET ORGANIZED! Register & pay $120 by March 1 to participate. Or pay $108 before February 25 for Early Bird Discount! That's right, a new service from Isabel Bay Design: SKYPE™ training! Need help from far away? Have a desktop computer? If you live too far from Port Townsend to attend one of my workshops or use a desktop computer, connecting and screen sharing via SKYPE™ might be the best way to get training and coaching from me. Isabel Bay Design is excited to announce a new Squarespace 7 website, CreativeSpiritExpressions.com, was launched recently for visionary artist, Katy Morse. Check out this fun, bright, creative artist. She's sharing her talents with the local community through an art show going on now above the Spice & Tea Shop downtown PT and via a series of painting classes in her studio. Additional services: business card design and production and greeting card design and production. With the latest version (7) of Squarespace, this new "responsive" website, can be seen properly on all screens, large (computers), medium (tablets) and small (smart phones.) And with Squarespace's online editing tools and with one-on-one training with me or by taking my Squarespace workshops, my clients will be able to maintain their own site in the future. Of course, I'm always happy to do website maintenance for my clients who don't want to do their own. It's so nice to finally have a choice! Register & pay $120 by January 31st to participate. Or pay $108 before January 27th for Early Bird Discount! Diana just sold a piece of pottery after listing it Friday! She makes beautiful, whimsical, unique, colorful, super functional pottery. After a online sales hiatus, she's inspired to list items in her Etsy shop again. Radha had a sale during our workshop after changing some settings on a shop listing!!! How cool is that? Her partner, Erik Newquist makes incredibly beautiful and functional hand-forged tools and hooks. Together, they work hard to make this business successful after recently relocating to the the Northwest. Carolyn took our advice and has re-listed her knitting patterns in a new, separate shop and she's already had one sale! Carolyn is a seasoned and successful Etsy shopkeeper who has sold both her artwork and knitting patterns for some time. Her artwork is spectacular and knitting patterns are very hip and chic. There's one more space for my January Etsy workshop! And I may be adding another Beginning Etsy workshop in January on another date and time. If you're interested, contact me! NEW WORKSHOP: Get Organized in 2017! There’s so much personal information to keep track of these days! This workshop will help you organize your important personal information for easy access, peace of mind and in case of emergency. You will be given fundamental tools such as a task list to customize and complete at your own pace and convenient template forms to fill out (in both paper and electronic versions.) With gentle coaching and scheduled meeting sessions, this workshop aims to inspire you to get your important personal information and affairs in order. Register & pay $120 by Jan. 6th to participate. Or pay before Dec. 23 for $108 Early Bird Discount! Working on your own, you might not be able to complete this mission—together I believe we can accomplish a lot. Give the gift of planning and organizing your important personal information to yourself, family, friends and executor. Our lives are so complex that when trying to locate or remember important information it's overwhelming, not to mention when transferring the responsibility to others, even a little bit of organization and planning helps our loved ones tremendously.